A useful guide to those who intend to have an overview of the relevant laws in respect of the various categories of white-collar offences in Singapore. Financial Crimes in Singapore provides a clear and concise overview of the various white-collar or business crime offences in Singapore for busy practitioners, in-house counsel, bankers, auditors, company directors, financial advisors, tyros and interested students, with a discussion of recent case law developments by way of summary. 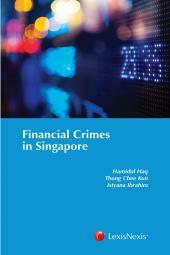 This book also serves as a useful guide to those who intend to have an overview of the relevant laws in respect of the various categories of white-collar offences in Singapore. Hamidul Haq is a partner in the Commercial Litigation department of Rajah & Tann Singapore LLP. 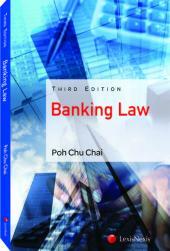 He has an LLB from the National University of Singapore and an LLM from University College London. He is a former senior prosecutor with the Attorney’s General Chambers and Commercial Affairs Department in Singapore and has dealt with many high profile cases, both for the defence and the prosecution, over the last three decades. Mr Haq has received recommendations from a number of legal directories, including the Best of Best 2017 for White Collar Crime, the Expert’s Guide 2014, Who’s Who Legal 2014, Asia Law Profiles 2007, Who’s Who Legal, Singapore 2008 and Asia Pacific Legal 500 (2006-2007). 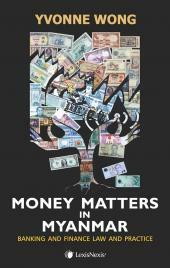 He also authored the book Financial Crimes in Singapore in 2014. Thong Chee Kun is a partner in the Commercial Litigation department of Rajah & Tann Singapore LLP. A former senior prosecutor with the Attorney’s General Chambers, Mr Thong has a comprehensive practice in criminal law. In particular, he is highly specialised in the area of financial and regulatory crimes and offences. He has extensive experience in advising and acting for clients in many major cases involving corporate and compliance breaches, corruption offences, tax-related offences, fraud, cheating, criminal breach of trust, cybercrime as well as securities fraud such as market manipulation and insider trading. Apart from having vast courtroom experience, Chee Kun has represented many individuals and corporations in respect of enforcement proceedings initiated by other regulatory bodies including the Monetary Authority of Singapore, Singapore Exchange Ltd and the Ministry of Manpower. Istyana Ibrahim was a Partner in the Commercial Litigation department of Rajah & Tann Singapore LLP. She graduated with an LLB from the National University of Singapore in 2010 and was called to the Singapore Bar in 2011. Ms Ibrahim joined Rajah & Tann Singapore LLP in 2011, and was involved in both high-profile criminal and civil proceedings in almost all levels of the Supreme Court of Singapore. During her time with R&T, she advised on anti-bribery compliance matters and assisted in a variety of significant reported cases involving white-collar crime and/or regulatory offences, including the first extradition case in Singapore which resulted in the release of the defendant, as well as a landmark case involving detention without trial under the Criminal Law (Temporary Provisions) Act, which also resulted in the release of the detainee.